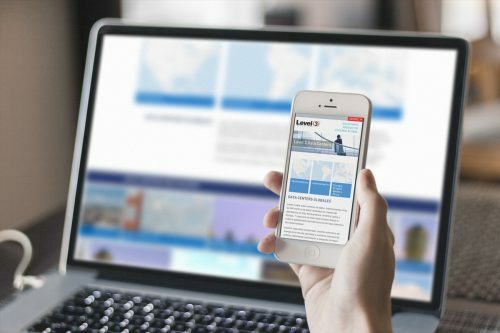 Responsive, multi-lingual microsite for B2B global telecommunications company. 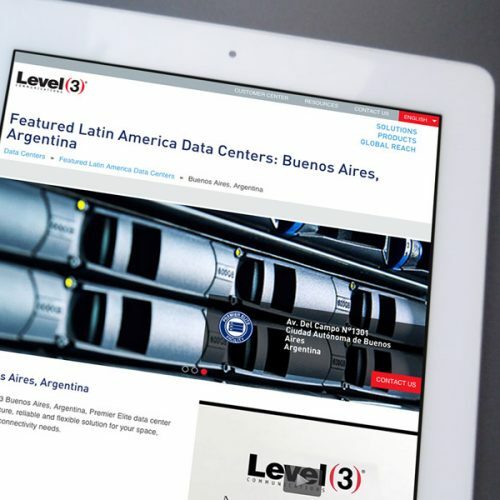 Global telecommunications leader Level 3 needed an effective way to curate content to its multilingual audience and to highlight its reach of worldwide data centers and accompanying products. Underlying the issue was the lack of responsive web design for this Fortune 500 company's current site. User Experience (UX) design focusing on the B2B consumer. 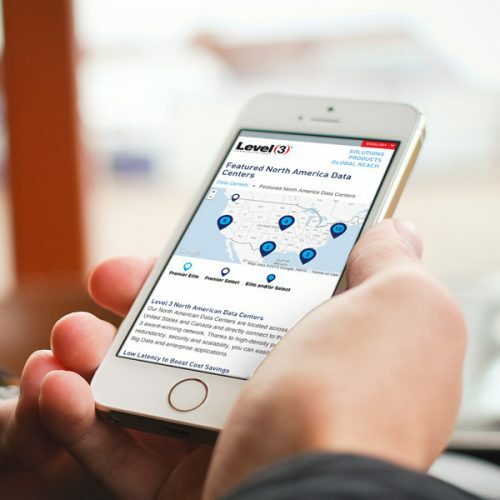 We worked to develop an optimized B2B microsite solution that delivers content across all devices responsively and effectively conveys the message of the client to its audience. 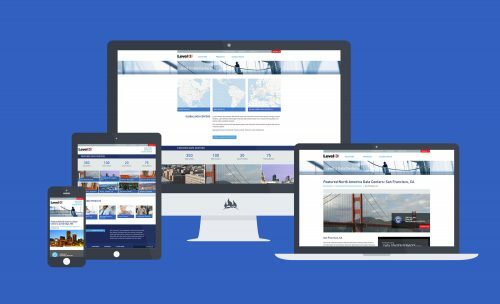 We confronted the challenges of this website design and development by effectively bundling together forward-thinking design with an intelligently information architected (IA) layer of content that is instinctive to the user. Our special attention to detail allows for a free-flowing break point response across all platforms and devices. A simple, yet powerful resolve to guide qualified leads one step closer to conversion. A special nod to our collaborators on this project, local agency Leopard Communications. 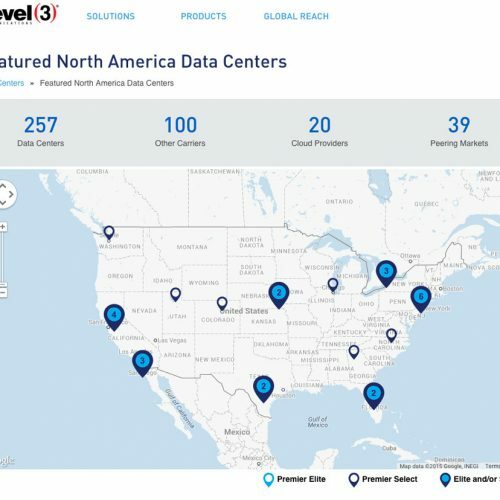 Hassle-free and flexible content management allows L3 to feature and highlight their reach as a global data center provider. By integrating a fully customized WordPress framework, our team developed an agile and intuitive content management system (CMS) allowing the user to seamlessly manage and edit its multilingual content with ease. "Engaging web design guides qualified leads one step closer to conversion." Results oriented interactive design and web development. 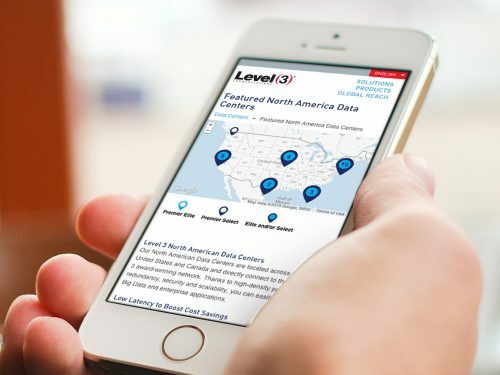 With the robust new content delivery system, Level 3 is able to showcase its wide-ranging products and services to prospective clients in an aesthetic and conversion-focused design. 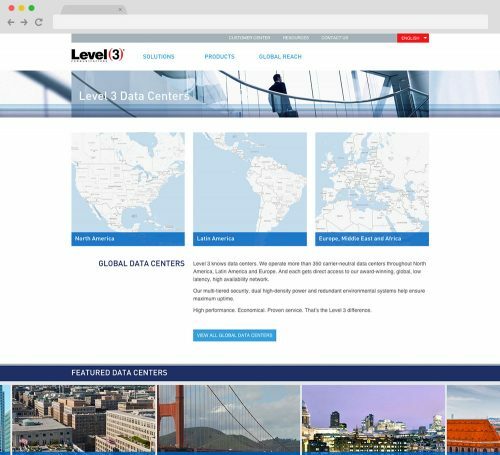 We created a multilingual mapping solution built using Wordpress and integrating customized Google Maps solution to showcase Level3's worldwide data centers. Delivering content via a responsive framework ensures that the content displays will be optimized for users from desktop to mobile screens.